Best Follow Me Drone 2019: 15 Best Camera Drones that Follows You! Looking for a drone that follows you around in 2019? Today I am going to discuss camera drones that can follow you. Technically, a drone that follows you is termed as follow me drone, self-following drone, auto-follow drone, and tracking drone. The Follow Me drones, have an auto “Follow Me” mode that gives you the ability to film yourself doing just about anything. The follow me drones have the ability to maintain the right altitude and focus on an object as it conducts an activity. Here is the list of top 15 best follow me drones that you can buy in 2019. I am focusing on the best Follow me drones but on cheaper ones as well! What is the Need for Follow Me Drone? Follow me drones are perfect when you want to get action footage of yourself skiing, biking, hiking, cycling, jet skiing, snowboarding, skateboarding, running, wakeboarding, even surfing or doing any other activity. Follow Me drones packed with high-quality cameras enable beautiful shots we could only previously shoot with helicopters. Keep in mind that handing a drone at Follow Me mode is usually a bit more challenging than what you see in the videos. Here is the list of top 15 best follow me drones that you can buy in 2019. 1. DJI Mavic Pro 12 MP 27 Minutes 40 mph CHECK PRICE! 2. DJI Inspire 2 30 MP 27 Minutes 67 mph CHECK PRICE! 3. DJI Phantom 4 12 MP 28 Minutes 45 mph CHECK PRICE! 4. DJI Phantom 3 12 MP 23 Minutes 36 mph CHECK PRICE! 5. AirDog GoPro 4 20 Minutes 40 mph CHECK PRICE! 6. Typhoon H 12 MP 25 Minutes 43.5 mph CHECK PRICE! 7. DJI Inspire 1 12 MP 18 Minutes 49 mph CHECK PRICE! 8. 3DR Solo GoPro 4 22 Minutes 55 mph CHECK PRICE! 9. X-Star 12 MP 25 Minutes 40 mph CHECK PRICE! 10. Ghost 2.0 12 MP 25 minutes 40 mph CHECK PRICE! 11. Xiro Xplorer GoPro 22 Minutes 36 mph CHECK PRICE! 12. 3DR IRIS+ GoPro 22 Minutes 50 mph CHECK PRICE! 13. U818A Drone 2 MP 10 Minutes 40 mph CHECK PRICE! 14. Chroma 4k 12 MP 30 Minutes 55 mph CHECK PRICE! 15. UDI U842 2 MP 10 Minutes 40 mph CHECK PRICE! I highly recommend U818A Wifi FPV Drone for beginners which produce a smooth “follow me” video of your stunts. For professionals, Mavic pro is the best fit! The 3DR Solo and Airdog are also a great follow quadcopters, and they are perfect to use with a GoPro camera. Solo has some very cool aerial video functions like cable cam, selfie, and wraparound shots. The DJI Mavic Pro is the best drone that follows you with a camera. Without a doubt, the most standout feature of the Mavic is its follow me feature. This is the topmost professional drone loved by most of the people to do useful jobs in various fields. You may be wonder about the features of this follow me drone. It has some advanced feature such as good camera resolution of 12 MP, speeds up to 40 mph, 4k video quality, ample battery life to give longest flying time, 3-axis gimbal, and the everlasting control distance of 7 KM. With Follow Me drone technology, this UAV is programmed to automatically follow you around and take nice shaps. Also for aerial photographs, this UAV is the best one on the market. The DJI Mavic Pro is an implausible piece of technology. Apparently, the self-following drone is costly. But I would recommend this Mavic Pro for not only for the follow me camera but also for its awesome functionalities. When it comes to best camera drone that follows you, this market-leading follow me drone is my first choice. The DJI Inspire 2 is the latest model Quadcopter of DJI Inspire series. Definitely, I can say that this is the best drone that follows you with a camera (30 MP). Build quality is off the charts. The dual, operator mode, dual cameras, Obstacle avoidance feature, and speed makes this drone quadcopter as one of the best longest range fpv drones in the market. The Mavic Pro boasts impressive battery life and actually has one of the longest flight times I have ever seen in a quadcopter. In my view, if you are going to buy a drone that follows you around with good camera quality, then this Inspire 2 drone quadcopter is the best fit for your requirements. The DJI Phantom 4 Quadcopter is the latest model in the DJI Phantom series. It has some good improvements over the previous DJI Phantom models. This is one of the best auto-follow drones with the longest battery life and flight time. The long-lasting battery improvement of this drone quadcopter makes it a big shot in the industry. As like Mavic Pro, Phantom 4 also has many advanced features. The flight time of 28 minutes makes Phantom 4 as one of the drones with the longest flight time. The camera quality is same as Mavic Pro with 12 MP. It also gives FPV with real-time video recording in 4k clarity. If you like to get a quadcopter that follows you with a camera, then this Phantom 4 should be a perfect fit. Notable Attributes: Battery Life, Obstacle Avoidance, Flight Modes. Another one from the DJI Company, the Phantom 3. It can fly up to 25 minutes with the included intelligent battery. You can control the drone with the help of the mobile app. This is a Follow Me drone so that you can get back the drone with a single click and no need to worry about losing your drone. This self-following drone has a control distance of 1 km. It can take stunning 2.7K HD videos and 12 Megapixel Photographs with the integrated aerial camera. The automatic flight assistance enables the drone to fly safely, so that lets you concentrate on getting great aerial photographs. Overall, this is one of the best follow me fpv camera drone. The next drone in the review of drones that follow you is AirDog – The Autonomous Action Sports Drone. This is the world’s first auto-follow drone with a GoPro camera. Yes! It is a follow me a drone. It follows you without remote control, so you can focus on the action! Another beauty of this auto follow me drone is that you don’t have to worry about controlling the camera. You can operate the drone with your Android or iOS app. The obstacle avoidance, vibration isolation, follow me drone, water proof control, GoPro, Foldable arms, longest battery life, tracking device, different flight modes are all makes this follow me drone as best in the UAS industry. The next drone in the review of drones that follow you is Yuneec Typhoon H. This Typhoon H has good camera quality and flying time than other drones in this price range. It has several features such as image-stabilization, integrated-camera, fpv, gps, HD camera, longest battery life, collision avoidance, good flight time, good speed of flight, 4k video resolution, and 360 degree rolls. This is the best personal drones that follow you. The DJI Inspire 1 is bigger in size but it is a good quadcopter for aerial photography and filmmaking. The most lovable thing in this DJI Inspire 1 camera drone is the different camera systems. Yes DJI Inspire 1 comes with multiple types of cameras. The flying video cameras are most helpful for aerial photographers. Also, you can remove the camera from the drones whenever required. Further, this model is very flexible and easy to use. As I told earlier, DJI developed a mount to use the camera and gimbal as a handheld camera. It is the best drones on the market due to its drone with gimbal feature. If you think about a drone that follows you, then go for DJI Inspire 1. You can also get the Deluxe version of DJI Inspire 1 for a better experience. Speed: 49 mph (22 m/s). Notable Attributes: Dual-Operator Mode, Multiple Camera Systems. One of the best drones that follow you around, 3DR Solo drone is more or less similar to above Phantom 3 quadcopter drone. The only difference is Phantom 3 uses built-in camera and 3DR Solo uses GoPro Hero 4. This is one of the best auto-follow drone quadcopters that follows you with a camera. It has some outstanding features such as Autonomous flight modes, Easily upgradeable software, Extremely reliable flight time, 55mph top speed, auto-follow drone, longer lasting drone battery, High-end Camera, Very simple design with intuitive controls and durable design. The battery life of this quadcopter drone is also wonderful. I would suggest this drone for those who like GoPro camera with self-following drone. The X-Star Premium from Atul Robotics is a classy easy-to-fly quadcopter designed for an outstanding auto-follow feature. It can take photographs with ultra-high clarity with its 4k Camera. You can use the free mobile app named Starlink to control the drone. The X-star premium is powered by an intelligent flight control system and dual GPS. I think this is one of the best drones that follow you with a live feed. I would like to say that GhostDrone 2.0 impressed me very much. The VR goggle allows me to see the real-time amazing view that drone is capturing. This Ghost Drone Quadcopter is ultimately safe. It automatically returns to its launch location when the battery is low or it loses communication with your controller. It has 4 controls modes such as Tilt Control, Companion Mode, Waypoint Mode, Microcontroller, and Auto Return. It has a long lasting flight time of 25 minutes. This is due to its long lithium Polymer battery power. The camera shoots 4k videos and 12 MP photographs with its wide-angle field-of-view lens. So I added this drone as one of my favorite drones that follow you! This XIRO Xplorer is very easy to fly. Also, it holds once you put up in the air, so you don’t have to worry about the altitude, and just you can focus on getting the right shot out of your camera. This quadcopter is compatible with GoPro HERO 4. Advanced functions like “Follow me”, “Circle Around Me”, “Return to Base” are making your flight much easier and full of fun. It is ready to fly the quadcopter. So no need to spend time on installation, within few minutes you can fit the parts and make it ready to fly. 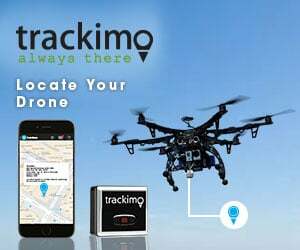 Return home mode will be automatically activated and send your drone to fly back it is takeoff point when the Xplorer loses connection with the remote controller or when the battery is critically low. Alternatively, you can press the return home button on the remote controller to call back your Xplorer. It has a good flight time of 25 minutes and the control range is also impressive with 600 meters range. This is a fantastic drone, and I highly recommend it to beginners. The price is excellent and worth the cost for this cheap follow me drone. This drone model is powered by 3DR’s world-famous autopilot, IRIS is a robot that will automatically fly itself where you tell it to go while keeping a camera steady with 2-axis gimbal stabilization. It has a good flight time of 16 minutes due to its IRIS power system. Most people buy this auto-follow drone, specifically for its follow-me function which works very well. Further, the safety button provides an additional measure for helping you power your vehicle on and off safely. IRIS+ can be easily set up to follow any GPS enabled Android device. Follow Me – 3DR’s 3rd Person View (3PV) Follow Me technology turns your IRIS+ into your own hands-free aerial camera crew that puts you in the middle of your own adventure. Not only will IRIS+ follow you, but this advanced technology controls the gimbal to keep the camera centered on you, capturing sweeping cinematic video from a perspective unlike any other. For a cheap follow me drone, this UDI U818A HD+ Drone is great. This fast drone has the headless mode, 360º flips, 6 axis gyro stability and much more. The 2 MP camera makes the camera quality a rocking one. Further, you can fly this lightweight drone straight out of the box! This UDI drone has a much better camera, especially in low-light conditions. The controller is smooth and the durability too awesome in this affordable cost. It is mounted with powerful motors to get long lasting flight time. Also, the inbuilt propeller guards save the quadcopter from crashes. Overall, this cheap flying drone that follows you was just breathtaking when it is flying. This is the automated drone. So anyone can operate the Blade Chroma with any prior experience. This is a good one for the beginners and has 3-axis stability to get stable aerial photographs. I was impressed with the long 30 minutes flight time with the GoPro Mount. This feature helps you to take good aerial photography images and videos by following any object! The notable feature of this Blade Chroma 4k is its SAFE Plus technology. It will protect your drone from accidents. You cannot get this feature from other drone models. Also in a single click, it will return to your home. The Smart Mode makes it easy to take off and change the flying direction easily. Looking for a cheap drone that follows you around? Buy this UDI U842 Predator. This drone quadcopter comes with everything you needed to get started. This one is a large one, with a great camera and video camera features. You can enjoy live video feed in HD. You can control this drone with your wifi enabled mobile devices. The overall control is smooth and good with camera drone that follows your facility. The headless mode makes better control over the flight. So no need to worry about drone direction while it is flying. You can take Aerial Footage and Photos in the 720p Hd Quality. Further, it comes with 360° Flips and follows me feature to prevent loss of drones. The only one drawback I noted is it does not handle the wind very well, and you have to maintain control of it manually. Overall, it’s a good auto-follow drone, but not a great one. Looking for a drone that follows you around in 2019? Technically, a drone that follows you is termed as follow me drone, self-following drone, auto-follow drone, and tracking drone. The Follow Me drones, have an auto “Follow Me” mode that gives you the ability to film yourself doing just about anything. Follow me drones are helpful when you are going to take a snap yourself during skiing, biking, hiking, cycling, jet skiing, snowboarding, etc. Hope the above article about camera drones that can follow you helps you in buying your best follow me drone 2019. Follow Me drones has good camera quality that can capture beautiful shots during flying.